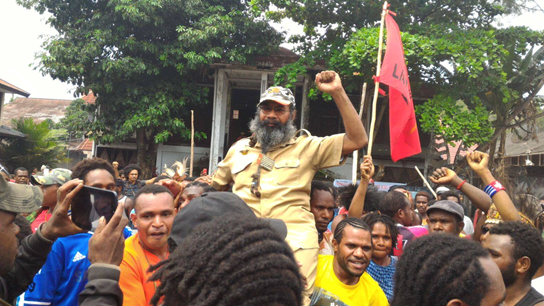 On December 1, 2004, police violently beat and stomped on Filep Karma, after arresting him for leading a peaceful ceremony which included raising the Morning Star flag, a Papuan symbol. 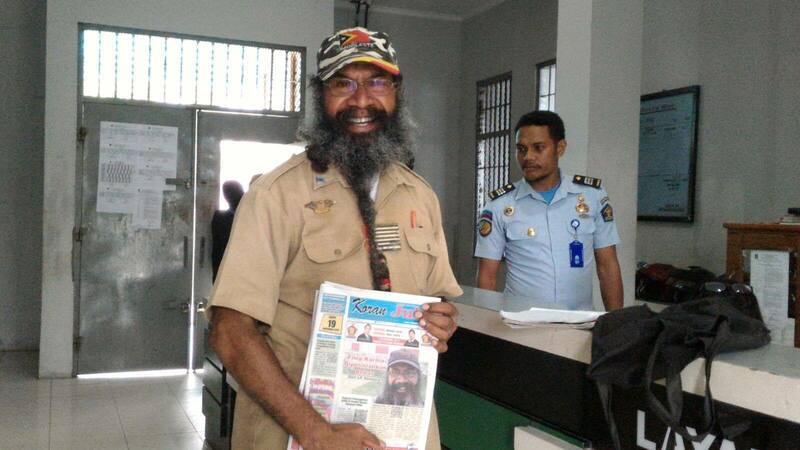 He was (and is) a prominent advocate for the rights of Indonesia’s Papuan population. When people went to the police station to protest his arrest, 20 were arrested. One was later sentenced to prison along with Karma. Filep Karma was sentenced to 15 years in prison. Yusak Pakage was sentenced to 10 years. Pakage was released in 2010 by Presidential pardon. Filep Karma refused a pardon – more about that below. Amnesty International campaigned for Filep Karma’s release as a Prisoner of Conscience who was imprisoned solely for the peaceful and legitimate exercise of his right to freedom of expression. While imprisoned, Karma fearlessly advocated for the release of many throughout Indonesia who were illegally imprisoned for acts protected under Indonesia’s Constitution and international laws. 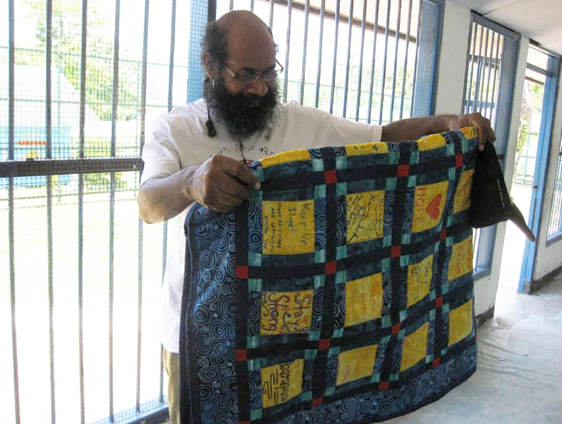 He became an elder spokesman for human rights in Papua. He eloquently advocated for others whose rights were violated, including Johan Teterissa in the Malukus. Filep’s family steadfastly supported him throughout his imprisonment. One of his daughters, Audryne, travelled to the US to join Amnesty International in meeting with members of Congress to urge their support in calling for her father’s release. Amnesty welcomes the release of Filep Karma. We hope he enjoys full freedom of travel including internationally. We join our friend Filep in asking the Indonesian government to unconditionally release all others imprisoned for non-violent expression of opinion. This entry was posted in Asia and the Pacific, Censorship and Free Speech, Prisoners and People at Risk and tagged Filep Karma, freedom of expression, Indonesia, prisoner of conscience by Guest Writer. Bookmark the permalink. What is it with racist governments these days? People should not be jailed for simply raising a flag that is important to their culture. And it was a peaceful ceremony too. Why can't today's leaders be sensible for a change? These are not very good role models we have running large countries like Indonesia (which is large despite being split across over 200 islands). Oh well, at least they've released him. That's a start.